30' Wide x 36' Long x 8' High Carport with our top-of-the line, A-Frame Vertical Roof System. The corrugated ridges in the roof panels are aligned vertically, or up and down, allowing water, snow, pollen, leaves, to wash off the unit easily. The unit has a heavier truss, compared to the 24' wide and under units, has a 3' wide panel on each side wall and gables on each end. 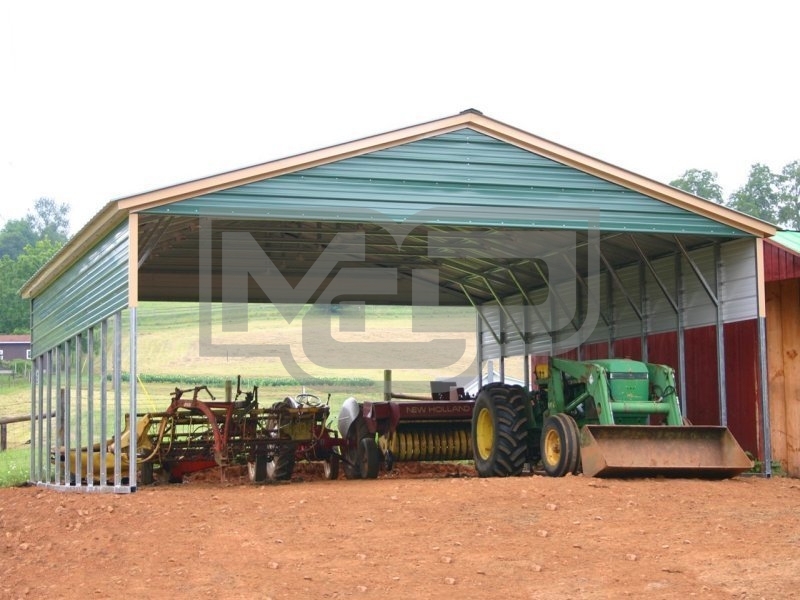 This metal carport shelter will accommodate up to three very vehicles or several prices of farm equipment.